Whoa! Swing steppin' neuro!  | DNB Magazine - Premiere Drum & Bass news and reviews. HA! Love it! RAM Records does it again and releases another bad, bad, bad tune. Crissy Criss, Malux, & Erb N Dub team up on the latest Program Music release. Blizzard and Wonky stick drop to the dance floor music. We absolutely dig the Wonky track. This is swing-step at its best. If you are a DJ looking to keep the crowd flowing through the middle of your set. This is the track! You can literally listen to the whole think and not want to mix another track in. So much respect for the jump up feel on this one. The A-Side of this release is “Blizzard” which is that high paced neurofunk sounding badmanness. 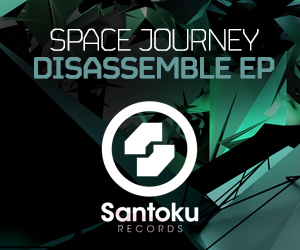 Seriously a great track and you’ll be glad to mix this in with some Inside Info, Mefjus, Noisia’s “Program”. Stick with it though. That switch in the drop is so good! We kinda wish that was the main drop. Ever spill, dope release and a massive big ups to RAM and their Program imprint. I met Pete (Erb N Dub) through my other music projects and we’d been working together for a while before we started drum n bass. I’ve known about Criss for a while and was originally into his dubstep earlier on. I always like collaborating, so when Pete suggested we all get in the studio I was really keen! Malux is the sound design guy. He’s got some serious skills in that department. Crissy brings his dance floor head to the table. It’s easy to get lost in technical skills and forget about the dance floor. We have written a lot of tracks together and each one is different. But generally I make a lot of the bass. Me and Pete work on drums a lot together as well as some of the bass. Crissy’s always got loads of ideas on his laptop so we’re always sending stuff back and forth. But when writing a track were all in the same room working together. We always take a bunch of ideas each of us have done and let the others mess with them. Always in the room. I find there’s a much better dynamic that way. Everyone pushing each other forward. I’ve got a huge chunk of my own solo music which I’m currently finishing off for my own label ‘Machine Made’. I have a brand new single coming end of July which features ‘Wide Awake’ and then obviously a huge chunk of tracks with Erb N Dub and Malux which you NEED to watch out for because.. Mate, it’s absolutely slammin! This is a long one lol. But I’ll just list the main gear. Neumann Kh310a Monitors, Various Mac Pros, Apogee Ensemble, Ableton Push, Yamaha DX, Custom Acoustic Drums, Various Mics and Pre Amps, UAD Satellite, Novation Midi Keyboard, Yamaha DTX 750 Drums, Yamaha DXR PA system, Moog Prodigy, Pioneer Nexus CDJ’s, Pioneer DJM 850, Bluesky monitors and sub… I’ll leave it at that. I run ableton on Mac. Use Adam a7x speakers with sub. Hardware – Sherman filter bank. Lexicon multi fx unit. Kaos pad. Yamaha dx synth. RNC compressor. Software – NI, fab filter, izotope, waves. 2 Comments on "Whoa! Swing steppin’ neuro!"